Georgioupolis, the idyllic seaside resort on the north-west coast of Crete, is a popular holiday destination for newlyweds. The breathtaking scenery, endless beach and shallow, crystal-clear seas combined with individual service and the excellence of the Corissia Hotels in all areas, make your honeymoon something truly special. You can also experience boundless romance in our picturesque surroundings, relax beneath the sun on the smooth, sandy beach, enjoy culinary delights right by the sea and let the natural beauty, history and myths of Crete take you by surprise. What would be the honeymoon of your dreams? Glorious sunshine, sumptuous luxury, lavish romance - soft sand, glistening sea and magnificent sunsets? The holiday of a lifetime – a holiday never to forget? Situated just 320 km south of Athens, Crete is within easy reach for the majority of European couples. No long-haul flights sitting for hours in cramped cabins, meaning you arrive at your honeymoon destination more relaxed, with more time to spend and more money in your pocket because you’ve invested less of both getting there. Which leaves you with more possibilities when it comes to really treating yourselves to a luxury hotel. Imagine if you could have both city life and rural idyll; sandy beaches and rugged mountains; ancient history and living culture; all the relaxation of a luxury hotel, spa and pool combined with a hiking and kayaking adventure. On Crete you can – without ever having to repack your bags. The incredibly dense diversity of the island means that it’s possible to experience a huge range of scenery, settlements and activities, whilst being based in one location, which means that you really can treat yourself to a luxury home away from home, and enjoy it to the full, whilst still having a huge range of activities and options open to you. The Corissia Hotels have put together a travel guide to give you a taste of the range of possibilities open to you from their fantastic location in Georgioupolis, helping you to put together your ideal honeymoon. Crete offers some of the most romantic destinations in the world, with scenery that is at times maritime, tropical or even reminiscent of the Wild West. The splendour of the Cretan landscape and the charm of its villages are sure to stamp an indelible image on your honeymoon memories. Lose yourselves in the winding, medieval alleyways of charming Chania and romantic Rethymno. Cuddle up in cosy corners in the quaint coffee houses and tavernas, amidst ornate Venetian architecture. After the exhilarating exhaustion of your wedding day, immerse yourself in the easy, laid-back manner of the Cretans and feel a wave of calm wash over you. It’s hard to imagine someone who will take better care of you than the Greeks. Famed for their hospitality and warmth, you will be in the very best of hands amongst your Greek hosts, whether in the local taverna or a top-range hotel. Their friendliness, openness, and generosity will add a sweet note to each day of your holiday, as you both feel embraced, pampered and utterly welcome in your home away from home. If you want a destination where you know that people are looking out for you, wishing you the best, and simply wanting to share special moments in life with you, then Crete is a sure choice. At the Corissia Hotels we have envisaged romantic luxury beyond our expectations. We are rethinking how comfort and romance are done, and how we celebrate those special, holiday moments. Two of our hotels are a particularly romantic choice for couples: The Corissia Princess Hotel, with a unique 360° panoramic view over the bay of Georgioupolis and a rooftop cocktail bar, and The Corissia Harmony Hotel, an exclusive, adult-only 4*+ complex, newly built in 2015-2016. The Harmony Hotel is the "jewel in the crown" of the Corissia Hotels, even offering superior rooms with a private pool. Imagine the luxury of your own heated swimming pool, right on your balcony door, just for the two of you. From either Corissia resort, you can book a Seductive Spa Experience, a private, intimate spa facility opened exclusively for the two of you. At the Corissia Hotels, we pride ourselves on individual service, which is why you talk to a real person when making your booking. The reservation service is designed to offer you maximum flexibility, with no obligations and zero cancellation fees up to 2 weeks before arrival. Your personal contact at Corissia is also happy to offer assistance with flights and airport transfers, making the whole process of planning your honeymoon simple and flexible – a fantastic bonus when you’re already busy planning a wedding! Crete has a beauty and charm that demands more than to be seen and be photographed. It needs to be experienced, to be lived out, which is why those visiting Crete for the first time return for a second, and a third, in order to recapture the atmosphere and immerse themselves once more in the endearing, enthralling, Cretan way of life. Whilst many couples treat their honeymoon like an extension of their wedding day – a once in a lifetime experience that can only ever be repeated in memories and photo albums – it’s a lovely alternative to think that you would be able to return, and relive some of the best days of your lives. Crete is within your reach now, and can be within your reach tomorrow. A place for forging new memories, and reliving the old. A place for consolidating and celebrating life together. To all the newlyweds, we wish: Να ζήσετε / Na zisete! The romantic holiday of a lifetime begins here. We share our advice and inspiration for planning the perfect honeymoon. The cake is cut, the cans are on the car, and you, the happy couple, are now setting off on the romantic holiday of a lifetime. The wedding was a celebration of your love, but also a celebration of your families and friendships, all of which you catered to on that special day. Now comes the honeymoon: a time when you can celebrate your relationship, and your relationship alone. Just the two of you. Investing in memories and experiences built to last. Your honeymoon is likely to be one of the most memorable holidays you will ever experience. Dream big, and plan early. We often associate great value with last-minute deals, but leaving your honeymoon planning to the final crunch in the hope that a great offer just chances to come along is emotional stress that you can, and should, avoid! The days just before your wedding are not the time to be sitting online, fingers crossed, hoping a great hotel deal just pops up. Instead, be on the ball, and take advantage of the great early-bird offers out there for those who book in advance. Not only do early birds get first pickings of honeymoon suites, great flight times, and other perks, but you can also benefit from early booking deals. Start looking in the low season for your chosen destination, between 6 and 9 months in advance, and you could pick up early-bird offers on everything from activities and tours to hotel bookings. The Corissia Hotels and Resort offer early bird reductions on all types of rooms in all hotels for advanced bookings. Start your research in the autumn for the summer ahead. Pre-Christmas is a great time to place early-bird bookings on high season hotels, whilst after the Christmas rush, January is a great month for taking advantage of extra reductions, often for the shoulder season. Perhaps you can’t be sure of your travel dates so far in advance? Corissia offers holidaymakers and honeymooners alike peace of mind with a no-risk cancellation policy, so you can go ahead and book that superior room with the private pool and still get your money back if your plans change, up to two weeks before you travel. More exotic honeymoon destinations may require you to have certain vaccinations, or to apply for a visa before travelling. This may prove to be time-consuming, depending on whether you need multiple vaccines, spread across several weeks, and whether your destination of choice has a complicated visa policy or not. For European citizens, travelling to a fresh, exciting destination within the EU or the Schengen area removes a lot of these travel headaches. If you are travelling further afield, or visiting multiple destinations, check your visa requirements well in advance. UK citizens will find up-to-date advice on a country by country basis on the gov.uk website. You will need a valid passport to travel to most destinations. Make sure your passport is valid for at least six months after your travel dates. This is a requirement for entry to many countries. Allow at least 1 month if you need to renew or apply for a passport. Talk to your local GP or health provider about any vaccinations you may require, and remember to include vaccination costs in your budget. Your travel plans may result in you making a stopover abroad to take a connecting flight. Some countries, notably the USA, require you to apply for a transit visa or register with a visa waiver programme in order to change flights at the airport. Make sure you inform yourself and prepare your travel documents well in advance. How Much Will our Honeymoon Cost? How much you spend on your honeymoon will depend on how long you plan to be away, how far you plan to travel, and what level of luxury you envisage when you get there. The “average” couple getting married in the UK will spend £27,000 pounds on their wedding, according to the website Hitched, but of that, only about 1/9th of the budget, around £3000, is spent on the honeymoon. That said, each couple is unique, and how much you invest in your honeymoon will depend on how you choose to prioritise your spending. Wedding costs can grow alarmingly quickly. It may be tempting to dip into your honeymoon budget, but remember: your wedding celebrations will typically last a single day. How long are you planning to take out for your honeymoon? How much more will you be able to experience if you invest in that time? Your honeymoon will probably account for a significant part of your budget, so make sure you plan for, protect and set aside that honeymoon stash from the very beginning. Ask yourself what level of luxury you envisage. You will be pleasantly surprised at just what degree of luxury really is affordable, with the right destination and the right booking strategy. See our tips on destination below, for luxury travel abroad that you can afford, and our advice on early-bird bookings above, for making savings by booking at the right time. You can also visit our blog article on Best Ways to Book, for tips on saving money on flights, rental cars and more. You may not be planning a “destination wedding”, but don’t be afraid to mention your dream destination when drawing up your wish list. More and more couples are forgoing the classic department store wedding list, and asking their guests to make a gift towards the honeymoon. Experiential gifts are quickly replacing the classic cutlery and saucepan sets of yesteryear. If you have already decided on a destination, why not add that hot-air balloon ride at dawn, or horse-riding on the beach at sunset, or a luxury spa treatment for two to your gift list? A photograph of you both enjoying your unique honeymoon experience will make a wonderful, personalised “thank you” in return. Be sure to mention it’s your honeymoon when you book the hotel as well. Many establishments will go above and beyond to make your honeymoon experience special, allowing you to enjoy some extra perks. Besides budget, one of the determining, factors of your honeymoon is when to travel and for how long. The time of year can be a determining factor. A winter wedding does not really lend itself to whisking away for Christmas on Crete, whilst August in the Bahamas can be a windy affair! Perhaps you already want to take a week off to prepare for, and recover from, the wedding, but are not so keen on the idea of losing that week from your honeymoon? Many newly-weds are choosing to postpone their honeymoon for a few months, so that both their wedding day and honeymoon can be as close to perfection as possible. Not feeling the pressure to jet-set straight from the altar can allow you to make those last-minute adjustments to your holiday arrangements, perhaps gain some extra days leave, and time your honeymoon for the ideal season. A popular alternative is to take a short weekend getaway just after the wedding. Affectionately known as a “mini-moon”, these short holidays are a great way to unwind after the ceremony, whilst saving the real honeymoon for later. Wedding preparation is an emotionally exhausting affair, not to mention the exhilarating emotional rollercoaster of the day itself! Allow yourself time to relax and unwind in the days following the wedding, and if you do decide to head straight to the airport, we recommend you start your honeymoon with “peace and quiet” in mind. The remainder of your holiday will be so much richer if you allow time for restoring your energy at the beginning. What kind of honeymoon experiences you both want. An ideal honeymoon should combine both your interests, so that you each have something that you personally enjoy, and something where you can share in your partner’s enjoyment. Our article on Mix & Match Itineraries for Couples offers advice on how to combine diverse interests. Make the most of the holiday leave available to you. How much of your precious time are you willing to sacrifice to being in transit? Be reasonable about how long it takes to get to any given destination. If you have two weeks of honeymoon available, is it really worth spending 48-hours travelling half-way around the world? Exotic new experiences could be right on your doorstep, from the mystical fjords of Norway, to the palm-lined Preveli beach on Crete. What level of luxury you desire. This ties in closely with budget. 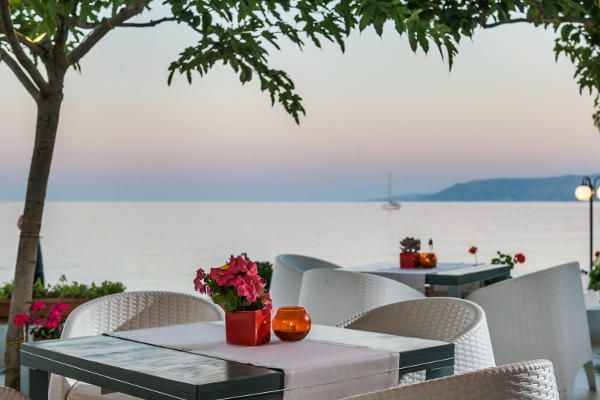 A luxury hotel in Geneva will obviously cost significantly more than one in Greece, and the same money will fetch you a higher class of beach holiday in Matala than it will in Marseille. However, it is a common myth that luxury is only affordable in all-inclusive resorts in far-flung corners of the world. Be aware of the investment of time and money it takes to travel: a trip to the Caribbean will be far more expensive than a flight to Crete, Croatia or the Canaries. The security situation in some exotic destinations may also leave you trapped in the hotel, whereas there are secure and stable regions of the world where your money goes further and you are free to go out and explore. The beautiful island of Crete is an obvious example: Mediterranean beaches, fantastic food, lush vegetation and a host of adventurous activities, historic sites and authentic rural villages to tempt you away from your cocktail on the beach. Take a look at our website for affordable luxury worthy of your honeymoon.